Bolotin, descended of Jewish cattle dealers from Alsace-Lorraine, grew up on a farm outside of Lexington, Kentucky, and was attending the Rhode Island School of Design in the late ’60s when he started performing his own songs. He met a couple of producers who invited the teenaged folk balladeer to come to New York to make a record. Bolotin cut his debut at renowned producer Brooks Arthur’s Century Sound Studios, where Arthur engineered Van Morrison’s Astral Weeks around the same time. It wasn’t until ’85 that soft-rock star Fogelberg released High Country Snows, which contained the Bolotin songs “The Outlaw” and “Go Down Easy.” The latter made a big difference in Bolotin’s life, though its arrival was anything but expected. Back in ’72, Bolotin cut a Danor demo of the tune, one of a number of his demos that included accompaniment by his crony Fogelberg “I don’t know what happened,” he says, “I lost track of Dan, but he must have kept the tape, because he released it as a single.” Though it took a dozen years for the multi-Platinum hitmaker to record the song, its eventual release was no anticlimax. The single reached number six on the Adult Contemporary charts and the album went Gold, giving Bolotin’s fortunes a belated boost. At the end of the ’70s Bolotin moved to Cincinnati, where he still resides, and his career as a multi-media artist took off. He never stopped writing songs, but his only recorded output was an online-only batch of songs he made available in 2006. 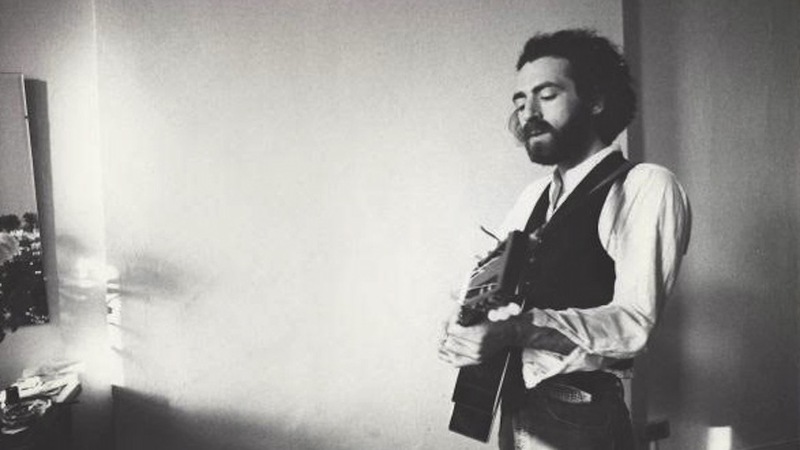 Unpredictably, three years later, his debut album’s Leonard Cohen-esque opening track, “Dear Father,” was including on archivist label Numero Group’s compilation Wayfaring Strangers: Lonesome Heroes. This inspired entrepreneur Dawson Prater to seek him out and reissue the record on his Locust Music imprint. It wasn’t long afterward that another avid archivist, Delmore Recording Society founder Mark Linn, entered the story. Linn had recently co-produced a collection of Kris Kristofferson’s early publishing demos. “He ran across my name several times when he was researching that,” says Bolotin, “because Kris had been supportive of my songs back then.” Possessed of an unnatural ability to sniff out seemingly lost recordings, Linn eventually uncovered the dusty tapes of Bolotin’s own Nashville demos, along with a couple of tracks from his unreleased second album. No One Seems to Notice That It’s Raining is the result. Listening to Bolotin’s early-’70s output, it’s as unsurprising that his cause was taken up by Nashville’s most famous musical mavericks as it is that he was ignored by the Music City mainstream at the time. Like a few artists kicking around Nashville in that period (Chris Gantry, John Buck Wilkin, Lee Clayton. ), Bolotin was a folk-rock troubadour in a country town. And back then, the borders were a lot tougher to break through. Had he been abiding in L.A. or New York, Bolotin might have been right in tune with the singer-songwriter boom and found himself embraced (at least for an album or two) by the labels that hosted the likes of Jim Croce, Jackson Browne, and the aforementioned Leonard Cohen. Instead, he was swimming upstream, not even quite country enough for outlaw country. But the songs he crafted during that time still stand up proud and strong. The darkly fanciful spoken-word tale “The Story of Lester and the Gold Coin” underlines Bolotin’s skills as a storyteller, which would eventually serve him well when he brought his multimedia artistry to theater pieces. “It’s Hard to Go Down Easy” is the original version of the song Dan Fogelberg brought to the charts with a truncated title much later, and it’s fascinating to hear how much of its initial feel survived along the way. Looking back on those songs now, Bolotin says he’s “lived enough to look at it as though one is looking through a kaleidoscope,” but regarding the young man who cut those tunes, he allows once more, “I have great respect for that person.” Today he remains artistically active in multiple forms of media, lately concentrating on creating animated films. Jim Allen's night job is fronting country band The Ramblin' Kind, rock band Lazy Lions, and working as a solo singer/songwriter. His day job is writing about other people's music. He has contributed to NPR, Billboard, RollingStone.com, and many more, and written liner notes for reissues of everyone from OMD to Bob Seger, but his proudest achievement is crafting a completely acceptable egg cream armed only with milk, Bosco, and a SodaStream seltzer maker.